Unsupervised learning is an important component in many recent successes in machine learning. The autoencoder neural network is one of the most prominent approaches to unsupervised learning. 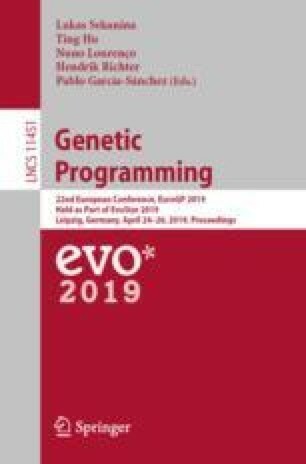 Here, we use the genetic programming paradigm to create autoencoders and find that the task is difficult for genetic programming, even on small datasets which are easy for neural networks. We investigate which aspects of the autoencoding task are difficult for genetic programming. This work was carried out while JMcD was at University College Dublin. Thanks to members of the University College Dublin Natural Computing Research and Applications group, in particular Takfarinas Saber and Stefano Mauceri, for useful discussions. Thanks to Van Loi Cao for data-processing code and for discussion. Thanks also to the anonymous reviewers.